Business Architecture Certification in a Business Language that Facilitates Communication Pathways. Represent and Illuminate your Business Architecture and Strategy using A B L™ The Human Consumable Business Language for Business and Technology Personnel. Let’s face it, communication is hard. Especially between Your IT Department And the Rest of Your Business. The Architected Business Language A B L™ was developed to address the eight (8) key elements to successful business understanding and communication. (3) Business people communicating with technology people, and technology people communicating with business people. The overarching objective of A B L™is to provide a communication mechanism that allows business expression of a problem or opportunity, that could potentially be transformed by technologists into mechanized or manual solutions. In understanding these objectives, the underlying design philosophy is to “keep it simple” – avoid unnecessary complexity. Sign up as a Guest to read more about the Architected Business Language A B L™. 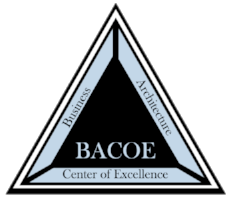 Ready to become certified in Business Architecture?